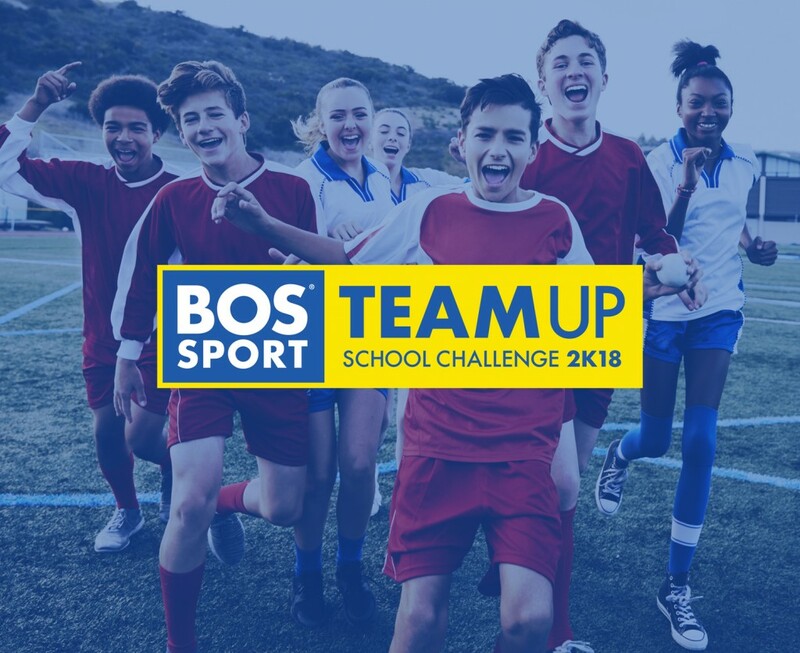 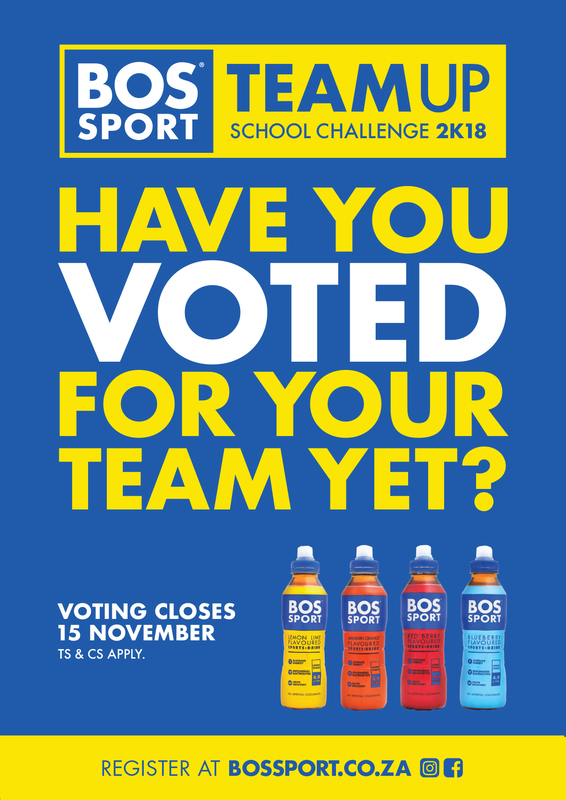 BOS Sport announces its TEAM UP School Challenge 2K18! It doesn’t matter what sport you play. 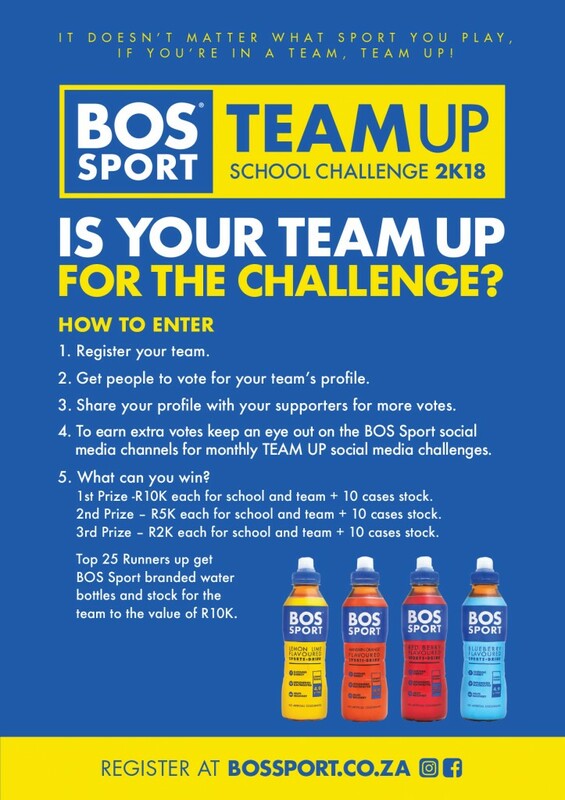 If you’re in a school team, it’s time to TEAM UP with BOS Sport. The sports drink powered by rooibos is challenging school sports teams to TEAM UP and stand the chance of winning their share of R50K in prizes for their team and school. 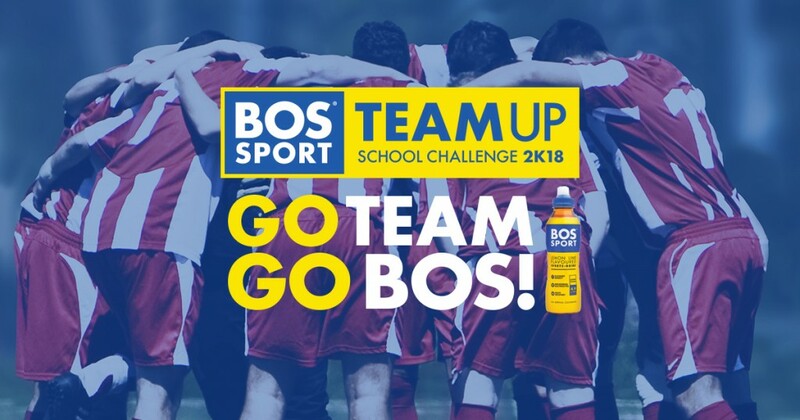 South African school sport represents everything BOS Sport is passionate about – active lifestyles, a sense of fun and team camaraderie and commitment.